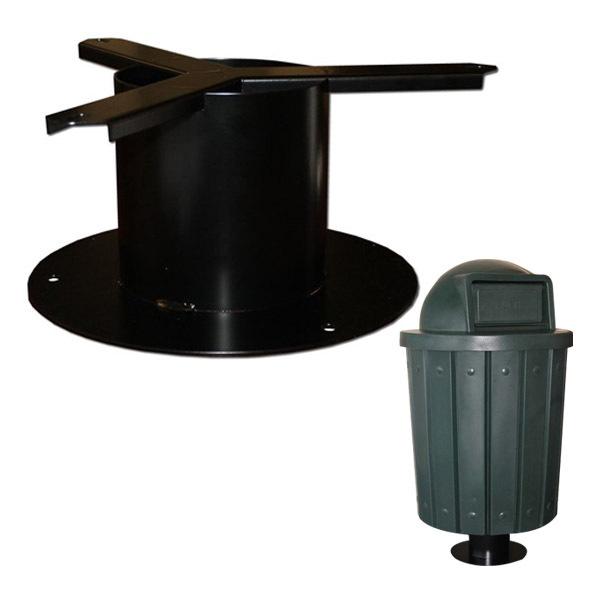 This 42 gallon trash can features a “stay-closed” swing top and a liner that eliminates the need for trash bags. Our Signature series features a slat design constructed of commercial grade plastic made in the USA. See our optional pedestal for mounting this receptacle to concrete to prevent vandalism.